Located on the corner of Locust Lane and 400 East. From Main Street, go East on 300 South 4 blocks. The street comes to a “T” at 400 East. Take a right. 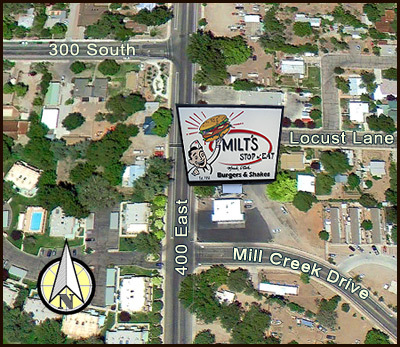 Milt’s is 1/2 block on the left. "Building a better burger since 1954!"